Congressman Allen West (R-FL) … town hall events on June 11th. 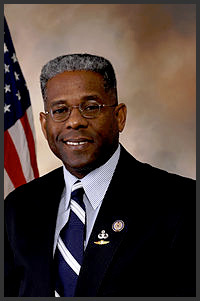 Support Congressman Allen West (R-FL) at his town hall events on Monday, June 11th. In case any of you missed it, Congressman West is a target of the San Francisco-based (no surprise there) CREDO mobile phone company, which has an open and well-publicized Progressive agenda. CREDO has formed a Super PAC and raised more than $1 million in part with portions of its mobile user subscriber fees, which money is being used specifically to target 10 members of Congress including our beloved Congressman West. They use the money to organize vocal grass roots protests at public events, including the Congressman’s last Town Hall in Boca Raton last week. WE NEED FOLKS TO SHOW UP FROM OUR TEAM TO MAKE OUR PRESENCE KNOWN TO THE ANTI-AMERICAN CREDO RADICALS. In addition to seemingly being self-hating Americans, the CREDO folks are – intentionally or unintentionally – targeting some of the most pro-Israel members of Congress, including Congressman West, Joe Walsh, Steve King, Chip Cravaack, and Frank Giunta.